All Sweet Mfg. 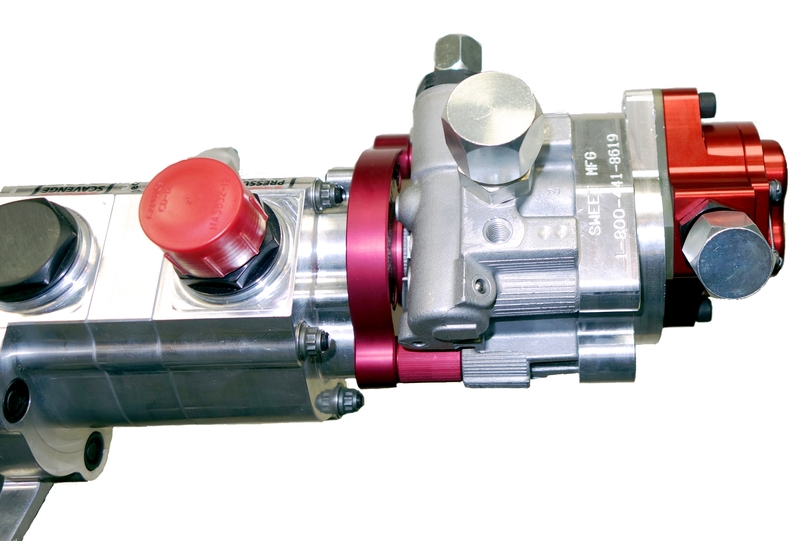 power steering pumps are variable pressure pumps with a control valve; each pump is tested and adjusted for maximum quality. 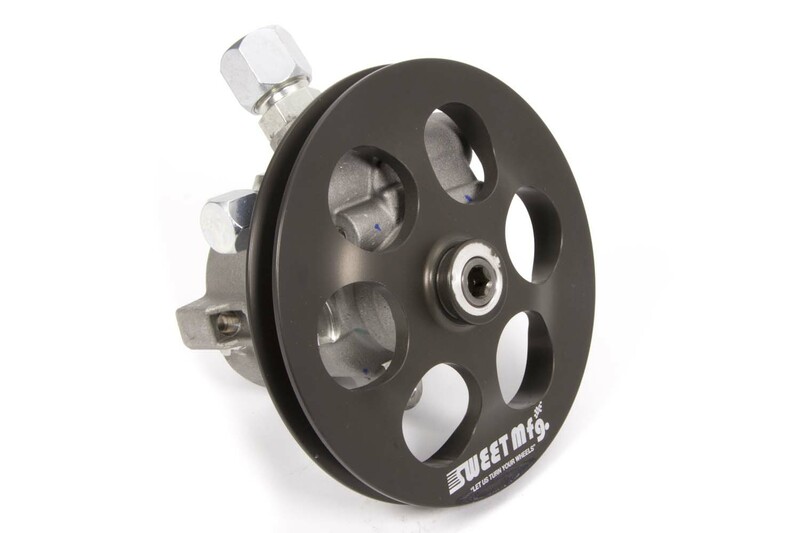 PSI ratings are maximum available pressure, lower pressure and flow pumps are recommended for street use. In most racing applications a 1000 psi, 3 GPM pump works well. When wheel loads are extremely high (Bristol/Winchester/Thompson, Conn) and desert off-road conditions a higher pressure pump is necessary. 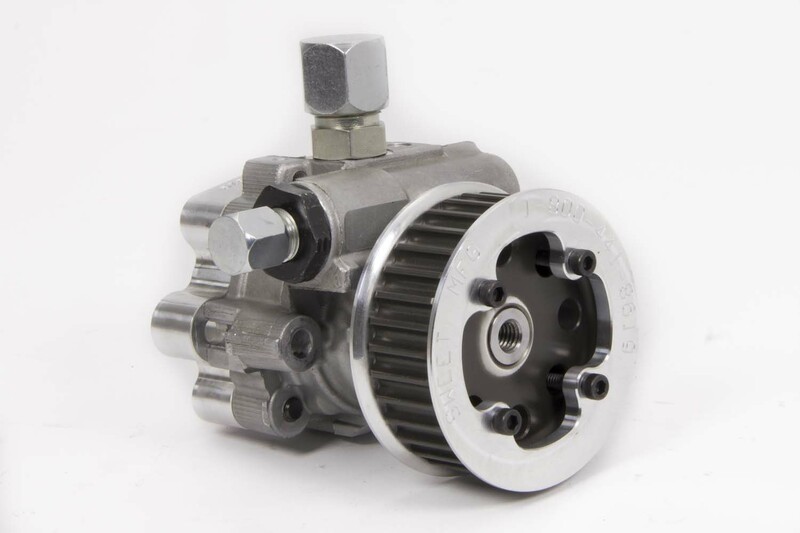 For the budget minded race we offer the Sportsman pump, this pump features new inner working components with a remanufactured steel housing. Supply hoses going into the pump should be 2 ft. or less to avoid pump cavitation. Aluminum pumps are 1 lb. lighter than steel.